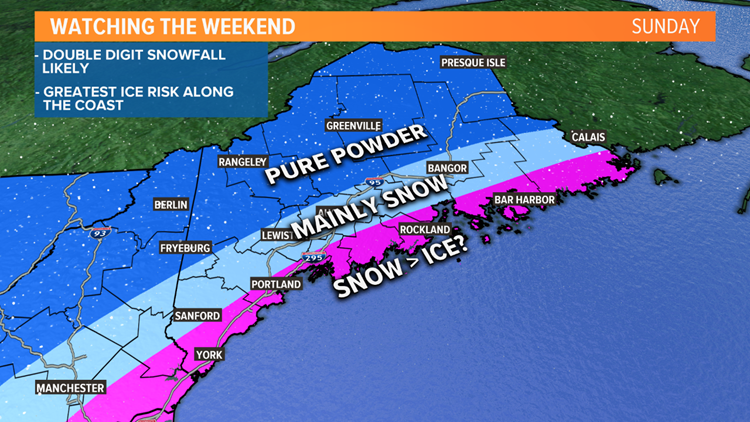 Many in Maine have yet to receive a double digit snowfall this season…there’s a very strong chance that changes by the end of the weekend. It’s not your classic snowstorm set-up. 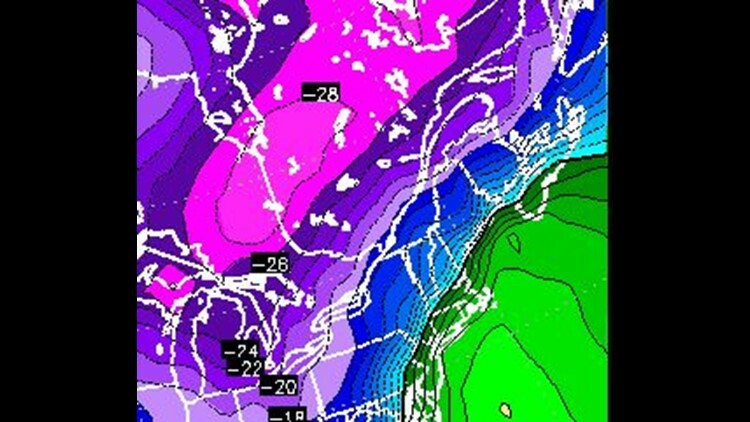 We’ve got a strong high to our north, locking in Arctic air, keeping the supply fresh. But the surface low isn’t that strong. 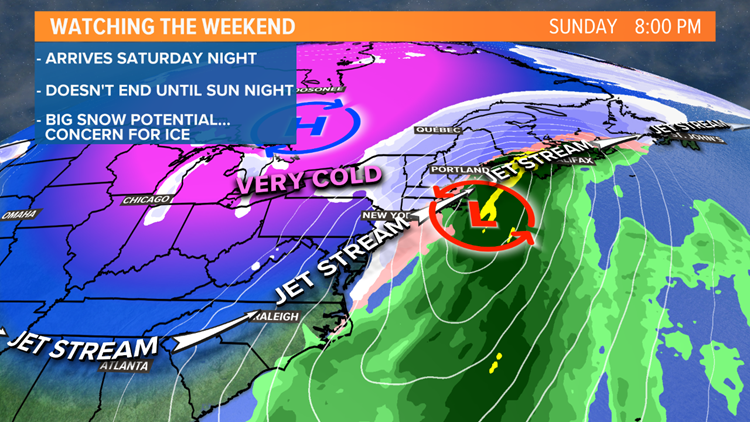 Typically with large snowstorms low pressure will undergo “bombogenesis” and blow up into a powerful Nor’easter. There will be a surface low, but it will be pretty weak. This is more like a 500 mile long intense warmfront and the contrast in temperatures will make for a robust overrunning event. The available liquid will be huge, and we can just about lock in a double digit snowfall over the entire State. The wildcard remains ice and how much, if any, mixes in. At the surface, the Arctic air won’t budge, but aloft there are signs that it will erode enough for a period of ice along the coast. If that happens, it will be sleet, with perhaps a brief period of freezing rain. But that change wouldn’t occur until after hours of heavy snow. With ample moisture, fluff factor and length of event, it should be pretty easy to get well over a foot, maybe two feet, for the interior. 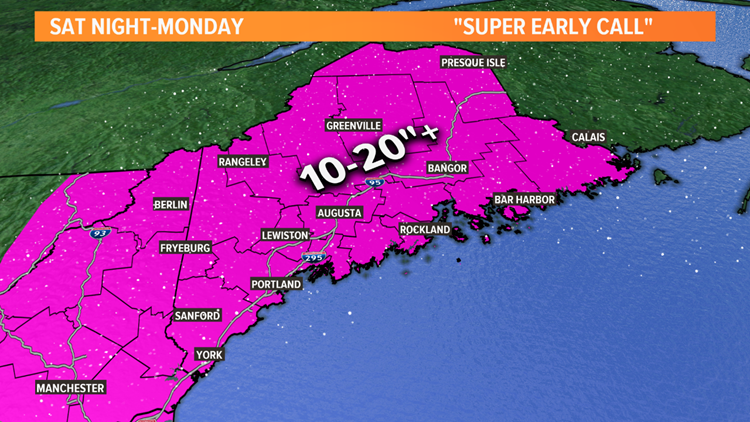 For the coast, I see around a foot with ice, and close to 20” without ice. Stay with us for updates as new information arrives. ►Keep up-to-date with Maine weather. Download the NEWS CENTER Maine app now.